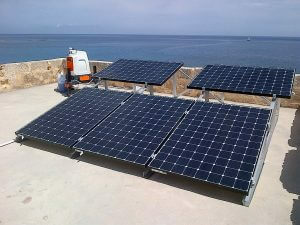 The University of Malta has successfully brought wind lidar technology to the country, with funding from an EU Project. The industry’s single most validated wind lidar, ZephIR 300, will be utilised by the University to assist with Degree program course delivery and further research within the academic communities based at the University. Furthermore, the high-resolution 50Hz wind data will aid in the prospecting of coastal wind resources. The University of Malta looks for the highest quality in all instrumentation in terms of accuracy, reliability and also technical support. The ZephIR 300 has been assessed and accepted to deliver against this strict criteria. Following a successful tendering process, and with the support of EU Funding, the University of Malta can now bring wind lidar to Malta for research opportunities that will benefit the Island over. Further, the introduction of wind lidar to Malta ensures engineers and scientists of tomorrow’s world will start their adventure with ZephIR 300 wind lidar technology as the core. ZephIR 300, a continuous wave (CW) wind lidar, provides high resolution measurements at an unmatched data rate of 50Hz, with up to 50 points per second measured in the free space targeted by the sensor, and chosen by the user, anywhere from 10 metres (33 feet) up to 200 metres (656 feet).This type of CW wind lidar gives very accurate measurements of the wind speed, direction and other wind characteristics including Turbulence Intensity (TI).ZephIR 300 is also the single most validated wind lidar at a consistent IEC compliant met mast site.